This Austrailian outback style hat is similar to our Bushman's style but with a larger brim and is made of oil tanned cowhide. 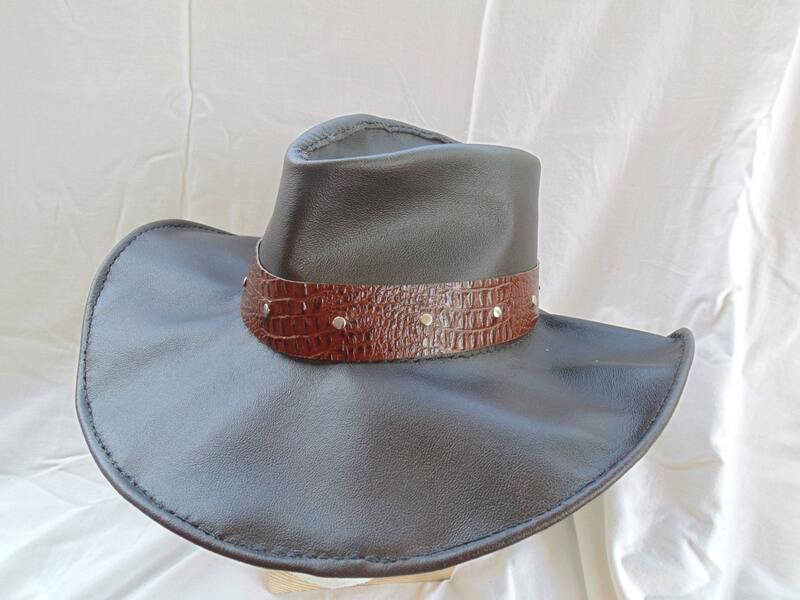 Alligator embossed cowhide hat band with silver rivets give this hat an adventurous "Crocodile Dundee" look. Chose black with black hat band or chocolate brown with mahogany hat band. These hats are made to order with your specified size. Can be made with or without sweatband on inside.